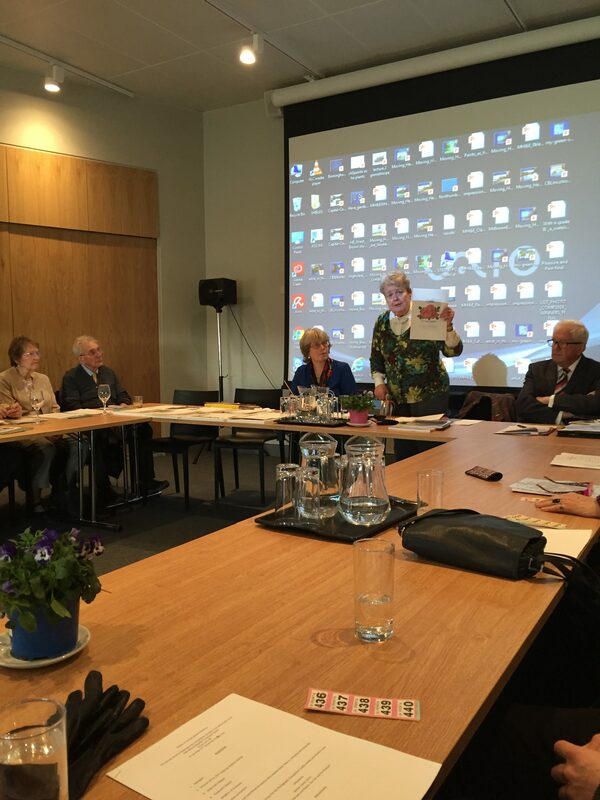 On Saturday 17 November, Shona Hatton had the pleasure of attending the Lincolnshire Gardens Trust AGM. She was invited by Steffie Shields MBE, an eminent landscape historian and writer who is also chairperson of this important organisation. 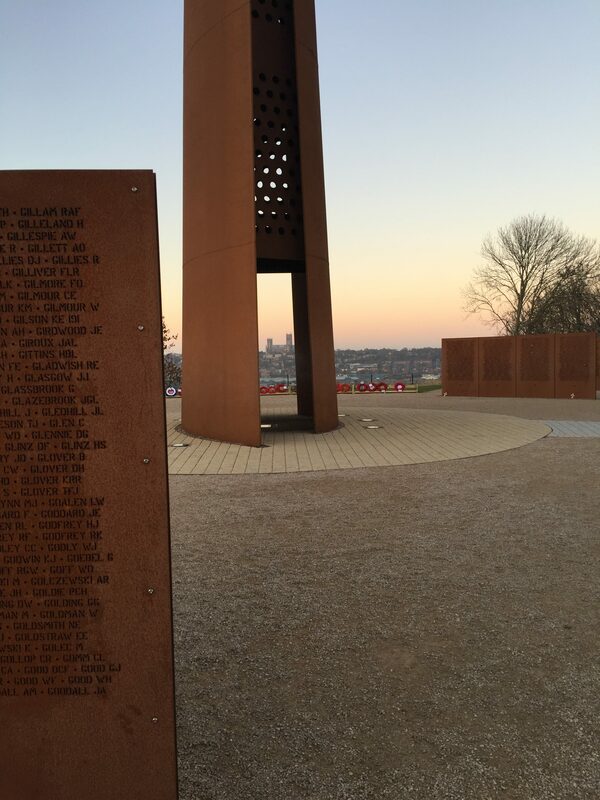 Their chosen venue for the day was the International Bomber Command Centre, Lincoln. Influence have been involved with this project since late 2013. 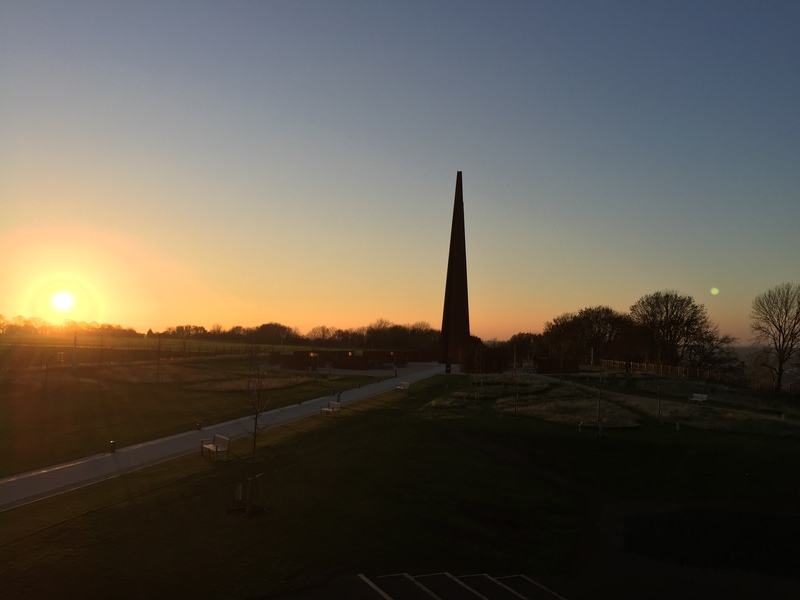 Our role was four fold; Landscape and Visual Impact Assessment for the Memorial Spire (the UK’s tallest wall memorial), landscape designers for the Peace Gardens, overseeing of £1.3m Environmental Grants and the production of the site’s Landscape Management Plan. After welcome drinks and introductions, Shona took a large group of landscape enthusiasts (both professional and amateur) on an hour long walking tour of the gardens. This provided the opportunity for the members to understand the landscape design process from concept to completion walking the full site tracing the ideas of the landscape design as we went. The concept, that of a bomber command crew’s mission, is defined subtly in the landscape around the themes of Approach, Assemble, Interpret, Fly, Reflect, Return and Remember. Split into two peace gardens reflecting Lincolnshire and the international element of Bomber Command the group walked and talked through the themes. Stopping intermittently to discuss and view the landscape the group spent a poignant and memorable moment at the Spire to overlook Lincoln Cathedral. The day provided an insight for members into the mind’s eye of a professional designer, taking on board the creation of a concept, the complexities of construction including archaeological digs, drainage and planting decisions to realise the outcomes of such matters on the ground. Steffie kindly refers to our landscape creation as ‘the latest designed landscape of Lincolnshire’. Influence are immensely proud of the achievements at the site and thank Lincolnshire Garden’s Trust for allowing Shona the privilege of showing the design to their members.